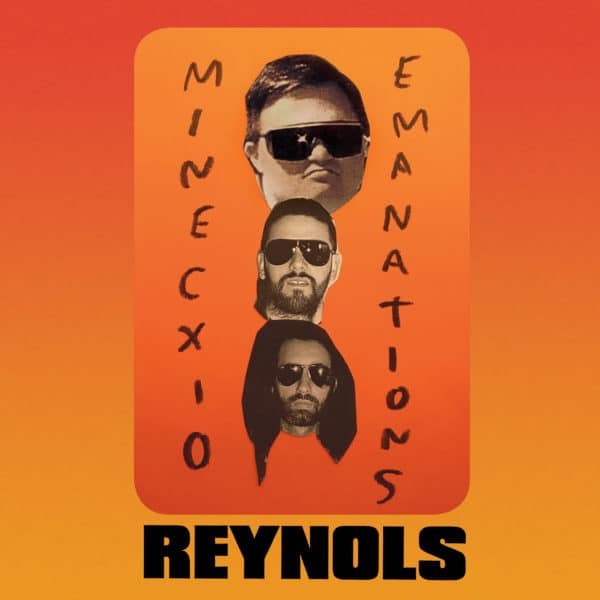 Pica Disk is extremely proud to present “Minecxio Emanations 1993-2018” – a box-set dedicated to the cult Argentinian band Reynols that features 52 audio tracks (mostly previously unreleased), 90 minutes of video and extensive liner notes and visuals. Reynols started in 1993 in Buenos Aires and is famous amongst many things for its unique Down’s syndrome drummer/vocalist Miguel Tomasín, who is the band’s spiritual architect. Reynols is also known its musical diversity, which spans everything from cosmic free rock and lo-fi drone electronic music, to conceptual sound art and social/political/esoteric observations. The world of Reynols is a universe completely of its own, and inhabits so much that even an extensive box like this only scratches the surface. Although Reynols have worked with an open-process DIY philosophy and been subject to multiple documentaries the band has still managed to sustain an element of mystery, so the release of “Minecxio Emanations 1993-2018” marks the first time the band has allowed an extensive overview of their work to be made. Fans of the band will also be happy to learn that most of the material is previously unreleased, including two albums from the early 2000s that were completed but never released; the earliest recordings from 1993; collaborations with artists Acid Mother’s Temple and Pauline Olivers; conceptual pieces; and more. There’s also a DVD with 90 minutes of videos. This box-set shows the full range of Reynols, and has been six years in the making and is the most extensive box-set project by Pica Disk.